The Pro-Gate50 Lite is a new external wastegate that combines big wastegate flow and performance in a compact and lightweight package. 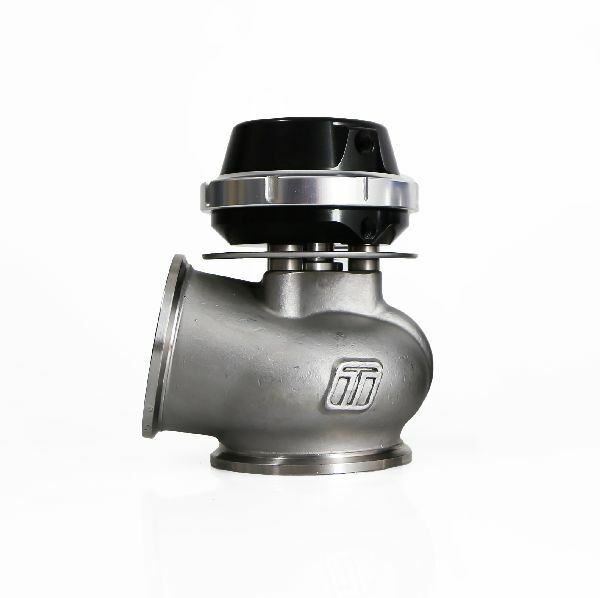 It is ideal for applications where performance of a larger wastegate is required but space for turbo components is at a premium, such as aftermarket turbo kits, and for racing applications where every gram counts. The Pro-Gate50 Lite features a 50mm valve matched to a compact cap, secured with Turbosmart's unique locking collar allowing for quick spring changes, and a heat shielded, nomex-reinforced diaphragm for excellent heat resistance. Inlet and Outlet Stainless Weld Flanges, Inlet and Outlet V-Band Clamps, 1/16 NPT Hose Barbs (5mm), 1/16 NPT Port Blanking Plugs, Locking Collar Tool, Valve Seat, Brown/Purple 7psi Middle Spring and Brown/Pink 7psi Outer Spring (installed).